Located on 2,500 feet of waterfront in the lower Hudson Bay, the Liberty Harbor area in Jersey City, New Jersey provides magnificent views of New York Harbor and is a commuter’s haven due to its proximity to Manhattan and excellent public transportation system. Over 20 years ago, developer Peter Mocco brought together a group of world-class planners and architects to create a new urbanist-inspired plan for Liberty Harbor. Liberty Harbor today has all the charm and feel of an historic neighborhood, with the urban conveniences, modern infrastructure and civic advantages of a stand-out community. Mocco has continued to improve the overall plan for Liberty Harbor, and last year, completed 333 Grand, an 18-story, residential apartment building offering the latest in luxury and style. 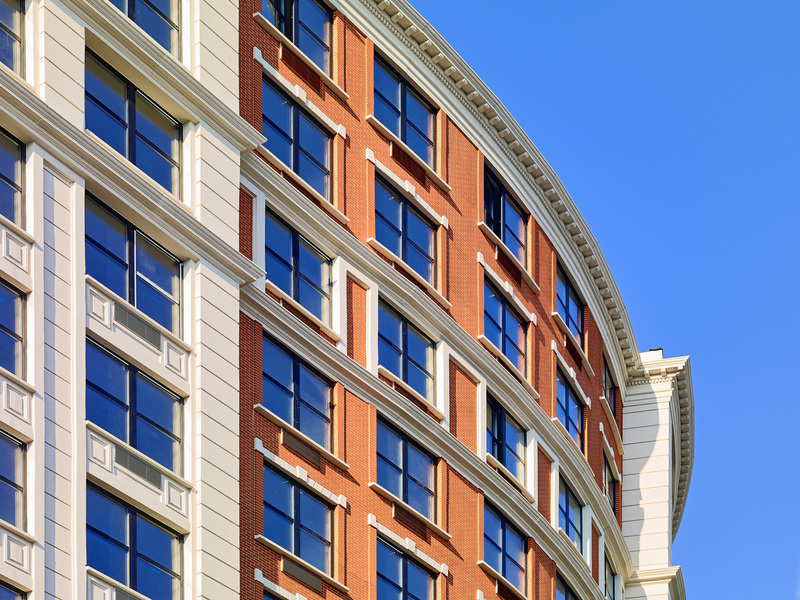 With an iconic facade, wide sidewalk area and extensive amenities including ground floor retail space, 333 Grand is an attractive addition to the neighborhood and a coveted address in the area. The building’s exterior is especially decorative with a stunning curved façade, oversized windows, multiple textured surfaces and vibrant colors. 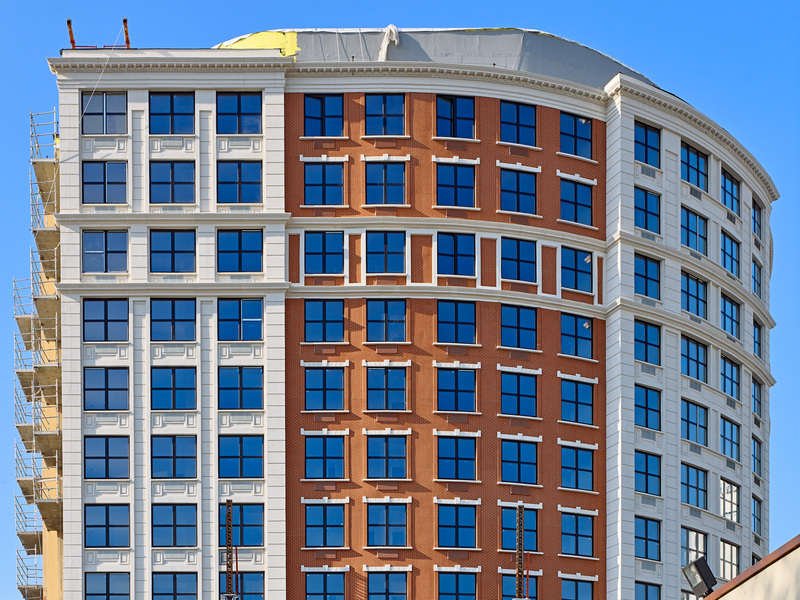 In fact, the 80,000 square-foot, multi-family, mixed-use complex is a signature tribute to its high caliber exterior insulation and finish system (EIFS). Mocco and his architects at Urban Architecture wanted an exterior wall system that would serve the building as an effective air and moisture barrier to weather the elements affecting this East Coast waterfront property. But they also didn’t want to compromise the aesthetics; specifications for the exterior design included multiple cladding types and shapes. Mocco made the decision to change from his original cladding option to a StoTherm® ci wall system with Sto Limestone and StoCreativ® Brick specialty finishes. It was going to be impossible to develop the structure they wanted with standard building materials, and Sto provided the solution. The StoTherm® ci wall system offered both sustainability and design flexibility. 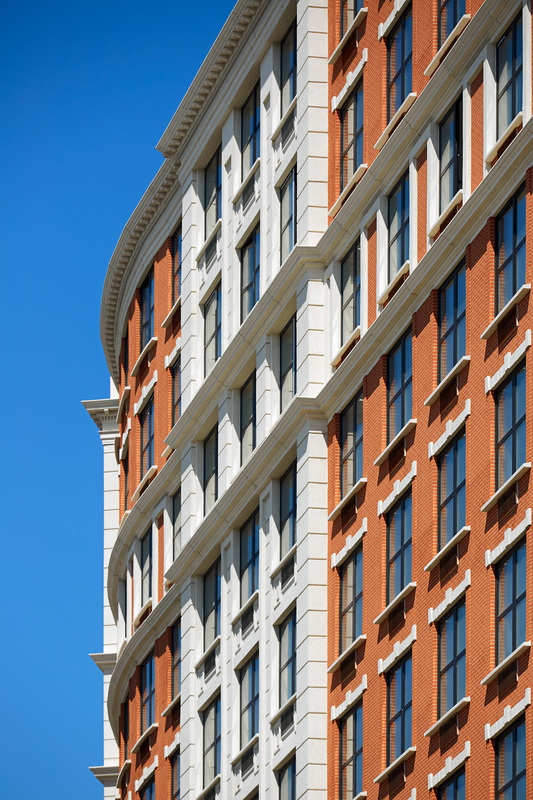 “What we’ve been able to accomplish at 333 Grand approximates a turn-of-the-century, pre-depression, exterior fenestration that absolutely replicates the grand stone and masonry buildings located throughout North America,” said Mocco. It’s an example of what can be achieved with good design and state-of-the-art, engineered materials.